Aspire Nautilus AIO Coil (Nautilus Mini BVC Coils Salt-Nic Optimized) - 1.8 ohm 5pcs/packDescriptio.. 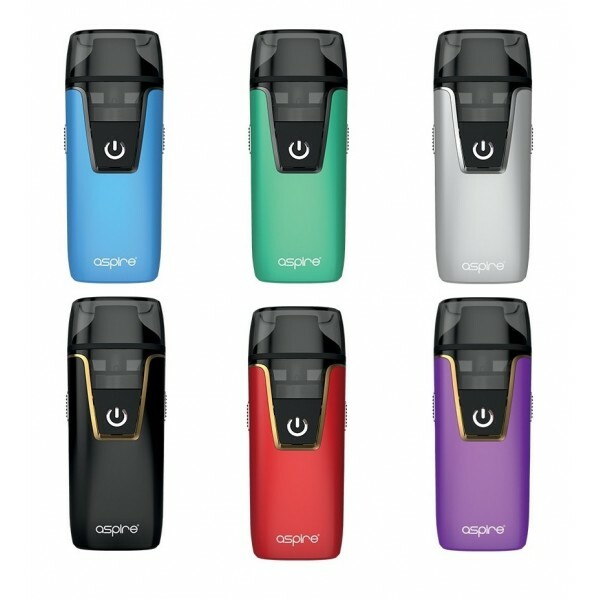 Aspire Nautilus AIO Ultra Portable Pod System presents a modernized 1000mAh all-in-one vape kit, integrated with the original Nautilus BVC Coil technology while implementing a 4.5mL maximum juice capacity with adjustable airflow control. 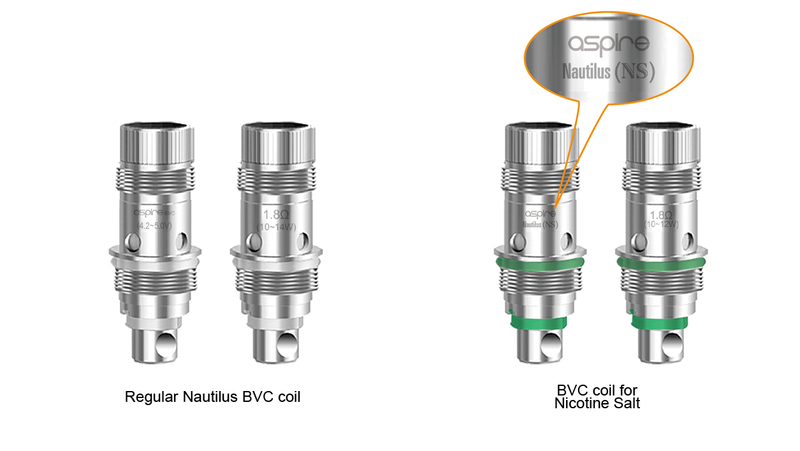 Whatever type of coil you use, the standard Nautilus BVC or the nic-salts Nautilus BVC, both are easy to install. 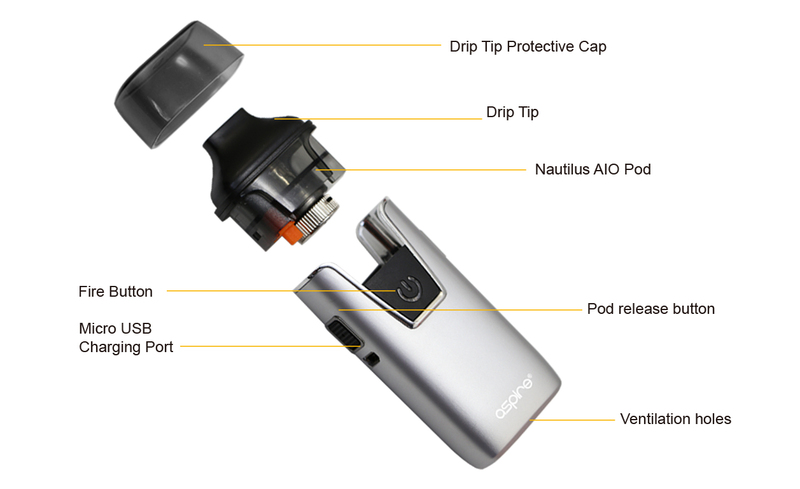 Simply remove the pod by squeezing the side buttons on the device, then remove the pod and turn it upside down, remove the chimney unit and screw in your chosen coil. Replace the chimney unit with attached coil and reinsert into the pod. 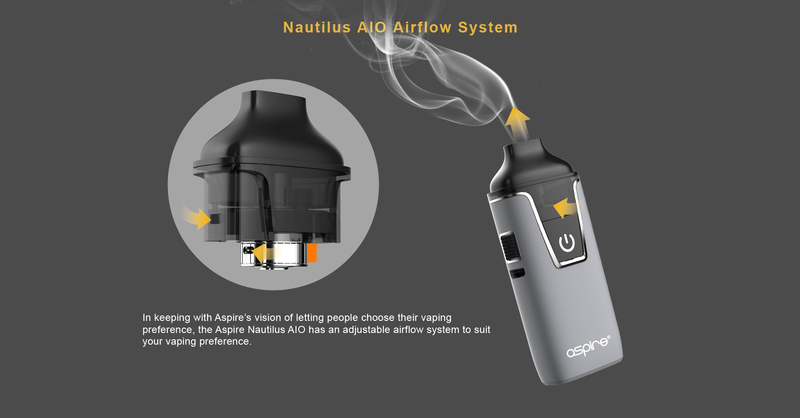 Push the pod back into the Aspire Nautilus AIO until it clicks.Note: when inserting a new coil and filling the pod, always let the device stand for 3 minutes to allow the coil to become saturated. 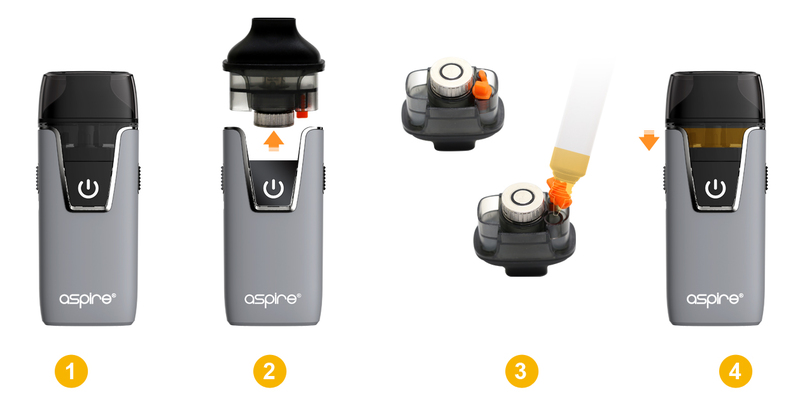 This will help avoid dry hits and damage to the coil. 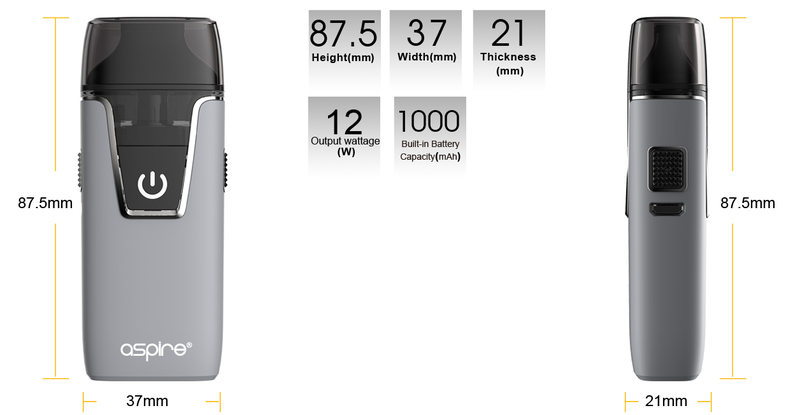 Screwbacco in Menthol!The Steam Factory Screwbacco Menthol 60mlDescriptionOur best selling liquid, n..